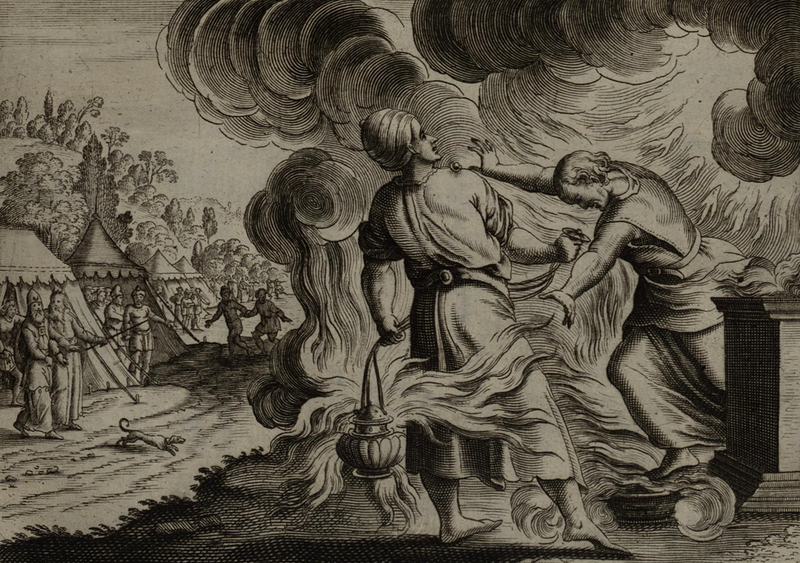 5 This is an artist’s rendition of the sons of Aaron, Nadab and Abihu, offering strange or unauthorized fire before the Lord. My name is Tony Miano. I am a member of Grace Community Church. I am an evangelist who leads a ministry called Cross Encounters Ministries. With more than a little reluctance and trepidation, I am entering the world of “Discernment Blogging.” While it can be a place of great encouragement and teaching, it can also be a place of ugliness, lies, and hatred. I hope readers will determine I am in the camp of the former, and not the latter. Why me, and why now? I believe a group known as Bethel Redding is a cult. The group has a number of characteristics of cult, as defined by the Christian Apologetic & Research Ministry. I believe Bethel Redding is a danger to the true church, the Bride and Body of Christ. I also believe Bethel Redding is a danger to the soul of every lost person who comes in contact with the group or any of its affiliates. I have followed and studied the aberrant activities and theology of Bethel Redding, for several years. I have already extensively written and reported about this cult. Recently, I have received an increase in requests for information about the Bethel Redding cult. Some have asked if there is a central depository of information about the group. While others have done fine work in cataloging information about Bethel Redding, I’ve decided it’s time I lend a more organized level of assistance to the effort. Now, this new work will be and must be secondary to primary mission–to herald the gospel of Jesus Christ on the streets around the world and to assist biblical churches in doing the same. So, the production of new, counter-cult material might be slower than some like. I hope you will be patient with me. In order to try to maintain a steady flow of the addition of new information to the site, from time-to-time I will have other people (guest writers) contribute to this site. In the end, as in all things, I hope my Lord and Savior Jesus Christ will be glorified in this effort. I also pray the Bride of Christ will be edified, equipped, and protected in this effort, and that many lost people, particularly those involved in the Bethel Redding cult, will come to genuine repentance and faith in Jesus Christ. So, with that, I inaugurate the Repent Bethel Redding website/blog. Thank you, Tony, for the work you are doing to expose Bethel Redding. May the Lord bless you and use you for His glory. May God bless you in His grace brother Tony! And you’d better believe this church has far reaching effects. I’m from a small town in Wyoming and the pastor at my former (I’m sure you can guess why it’s ‘former’) church attended a training at Bethel about a year ago. The church now more and more reflects the results of that visit. His son, who was in my Sunday school class for several years, just graduated from High School and is being encouraged by his parents to attend the Bethel worship school. I believe this young man shows fruits of salvation and I’m praying he will not go. Most Christians here have no idea about the dangerous influence of Bethel and its popular band Jesus Culture. Thank you for your ministry. Thank you, Mr. Miano, for your efforts on this matter. For the past few years, I have had to deal with the influences of the false teachings of Bill Johnson et al within the church body in Japan. Many of the evangelical (Japanese) pastors here are literally not able to understand what Johnson says. Others, with pentacostal leanings, do not (or cannot) discern what is wrong with his teachings (quite of number of his books have been translated into Japanese). Due to the great amount of primary sources that I have had to watch and read, I am behind schedule in replying to inquiries from non-Japanese Christian brothers and sisters who ask why I see him as a dangerous false teacher. Your work has made it effective to allocate my time in my research and prioritize issues. Thank you. God bless you and your work in His ministry.